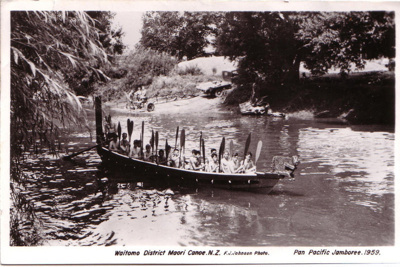 A postcard produced by Waitomo District Scouts of themselves in a Maori canoe that they had the use of. 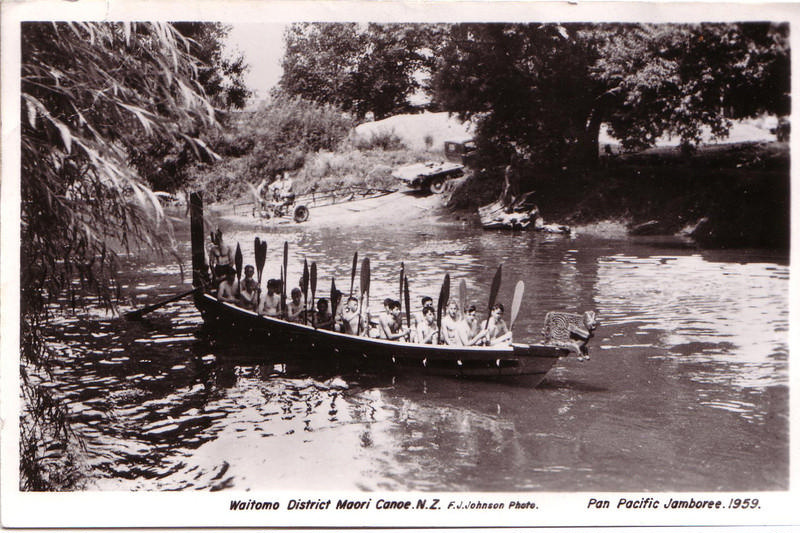 The Scouts travelled to the Jamboree in it, travelled initially down the Waikato river, and then coming across the Manukau Harbour to Onehunga. from there it was walking distance to the Jamboree site. A lot of publicity was attracted by this transport method and this postcard reinforced that interest.